Partners from Austria, Bulgaria, Croatia, Czech Republic, Hungary, Romania, Serbia, Slovakia and Slovenia gathered at the multilateral meeting of the project partners. 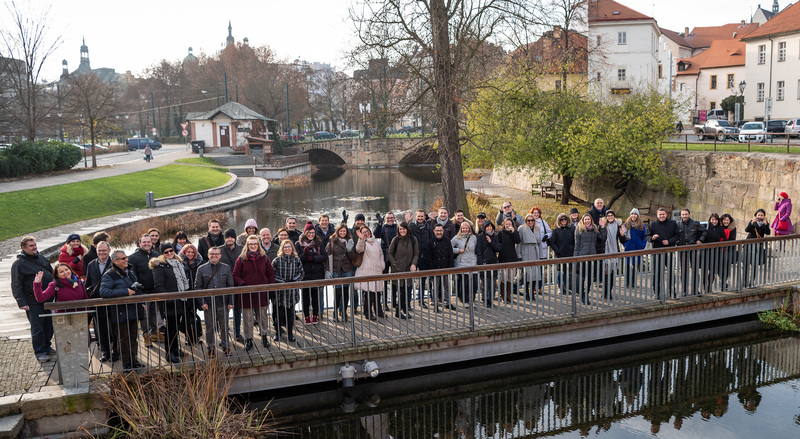 The meeting took place in Pilsen, Czech Republic on 27 – 28 November 2018 and was hosted by Regional Development Agency of the Pilsen Region. 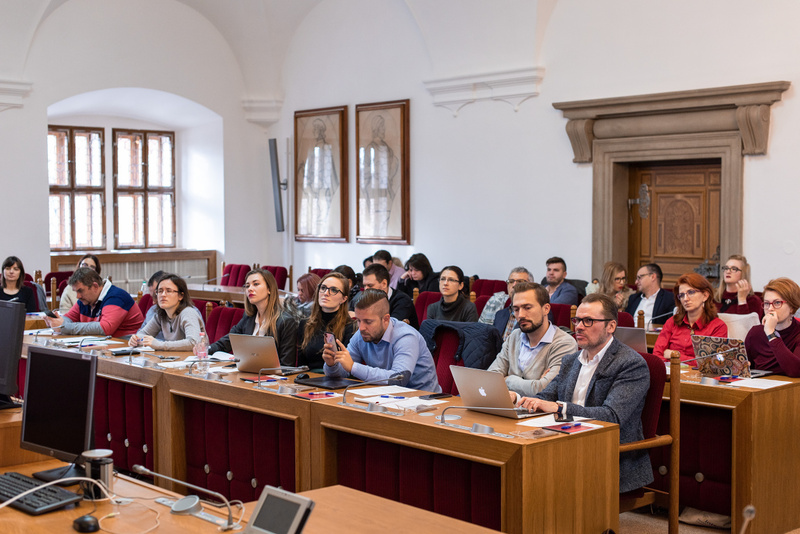 Partners met on Tuesday morning in the Renaissance City Hall in Pilsen and were greeted by Filip Uhlík from the Regional Development Agency of the Pilsen Region and by Vice-Mayor of the City of Pilsen Mr. Michal Vozobule. The welcome speech was followed by presentations from technical experts. 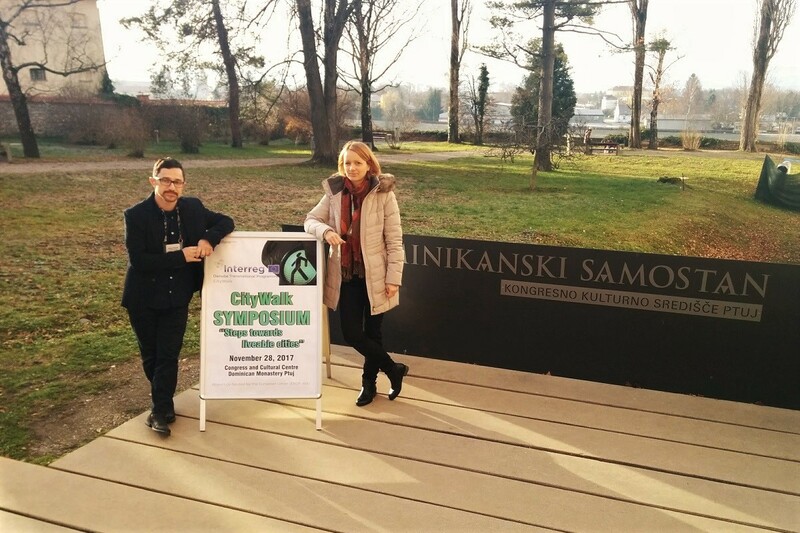 Mr. Petr Raška from Urban Planning and Development Institute of the City of Pilsen presented problems of the urban and transport planning in the City of Pilsen focused on walkability and Mr. Jakub Mareš from Ateliér k světu who presented the Scoobike-sharing system in the City of Pilsen. 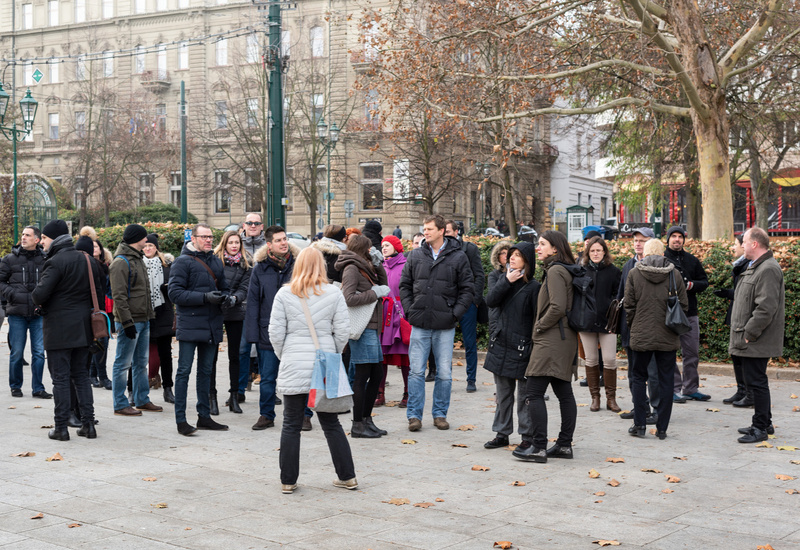 Technical presentations were followed by a guided walking tour of the city. The tour was guided by the hosts and technical expert showing specific measures already implemented in the city to improve walkability. The technical presentations combined with a guided tour gave participants a greater insight into the walkability in the City of Pilsen. The guided tour ended with a short trip with battery trolleybus with which participants returned to the City hall for lunch. The second half of the day started with the Internal Steering Committee meeting where partners shortly discussed the overview of project activities so far. The short overview of the progress was followed by presentations on the status of walkability planning done by partners. Following this, partners gathered for a coffee break while the venue was being prepared for an interactive workshop on planning experiences. At the workshops partners worked in groups, divided based on their respective countries, to prepare a review of what was good, what worked well and what challenges they faced. Individual group findings were then discussed amongst partners. The workshop proved really valuable for updating the walkability planning guide, discussion on issues and difficulties and any questions regarding Local walkability plans. The day was continued with a guided tour of the Pilsner Urquell brewery which was rounded with a beer tasting of unfiltered Pilsner Urquell tapped straight from oak lager barrels in the historic brewery cellars. The evening concluded with a dinner accompanied with traditional Czech music. On Wednesday morning partners met at the conference venue of the Technical authority where they had the opportunity to try the historical “pater noster” lift. 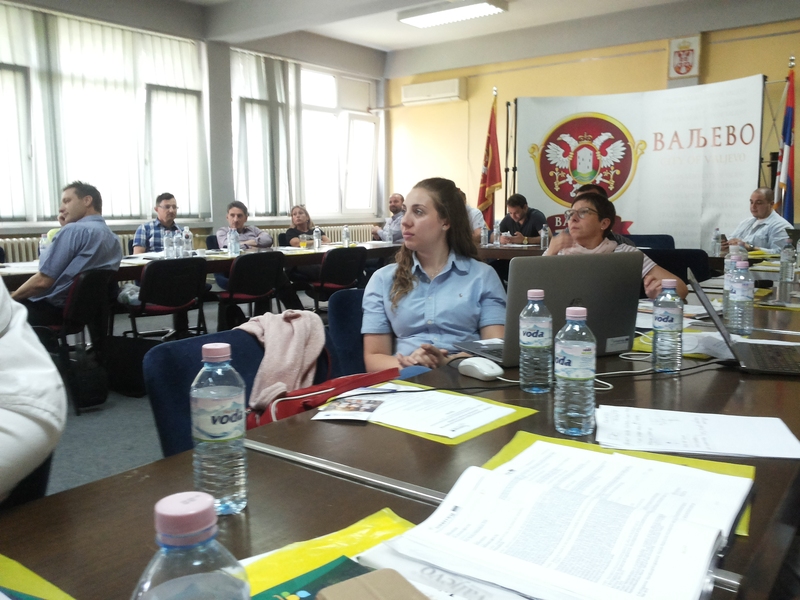 During the day, partners discussed progress of work packages, presented already implemented activities and their plans for awareness raising campaigns and pilot activities. This was followed by a presentation of the Homepage and the walkability index. Partners also got to experience the Walk’n’Smile app which was developed in the scope of the project. The day continued with the discussion on project management issues and important information regarding the reporting and was concluded with overview of planned activities for the upcoming 6 months. The final multilateral meeting will take place in Oradea, Romania in March 2019. The Walk’n’Smile app is now available for download in Google play store (https://play.google.com/store/apps/details?id=hu.mineroit.walknsmile) and through the link on the Homepage (https://rri.hu/citywalk/sources). Weiz, a city in East Styria considered an industrial city due to several industrial companies, was the location of the CityWalk project partners meeting hosted from April 23–25, 2018 by project partner Municipality of Weiz. The focus of the meeting was on the transnational learning and exchange of experiences in a field of sustainable mobility. 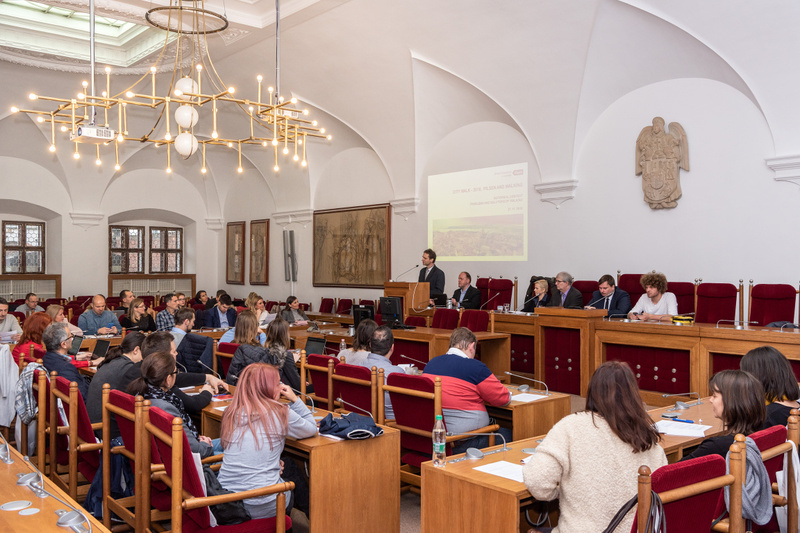 On November 28, 2017 the projects Transnational Symposium took place in Conference congress centre in the Dominican monastery Ptuj. 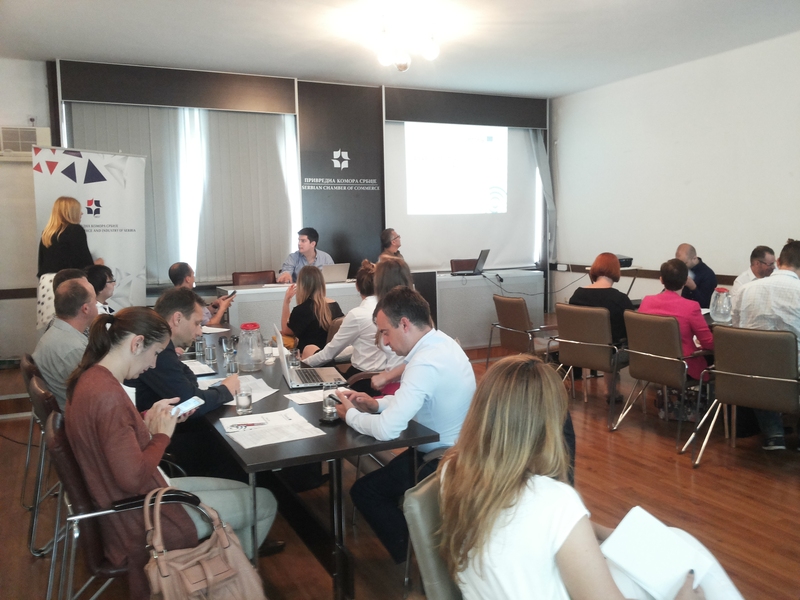 The Symposium, hosted by the projects lead partner – the Scientific Research Centre Bistra Ptuj – was a mid-term thematic and publicity project event that served as a platform for higher level consultation forum for experts, EU level actors, policy-makers and to enrich project outcome. 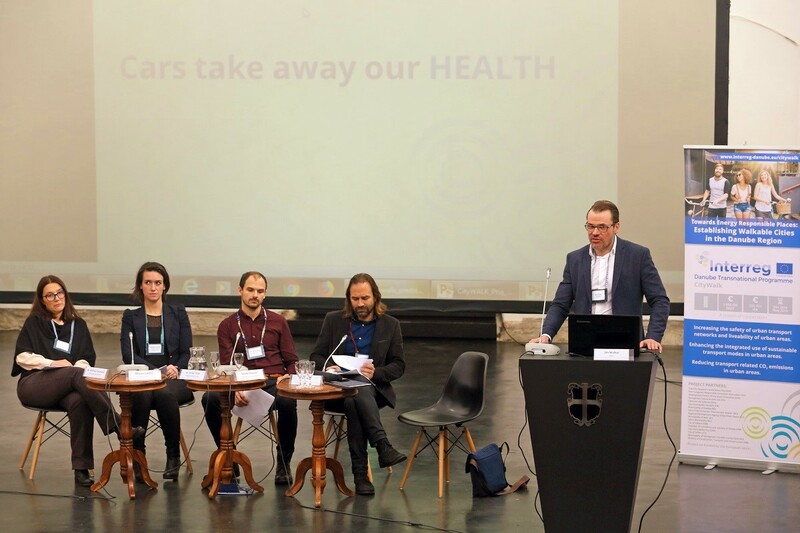 The symposium addressed the obstacles of sustainable forms of mobility in the cities. 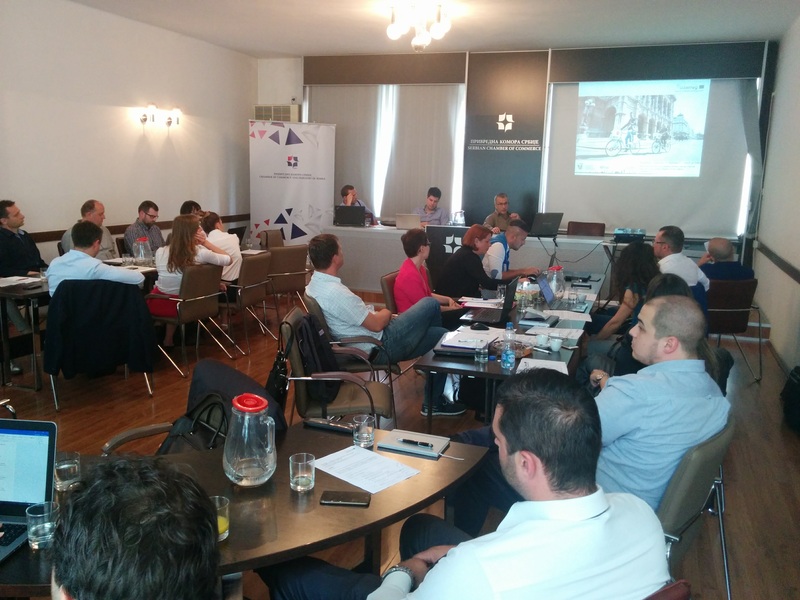 In the course of the Danube Transnational Program capitalization strategy, this event provided the opportunity to create synergies in the field of sustainable mobility. On 7 and 8 February 2017 in Seged, Hungary it will be hold the first partner meeting under project №DTP1-1-045-3.1 "Citywalk - Towards energy responsible places: establishing walkable cities in the Danube Region ", "Danube" 2014-2020 Transnational Cooperation Programme in which Varna Free University "Chernorizets Hrabar "participate as a partner. 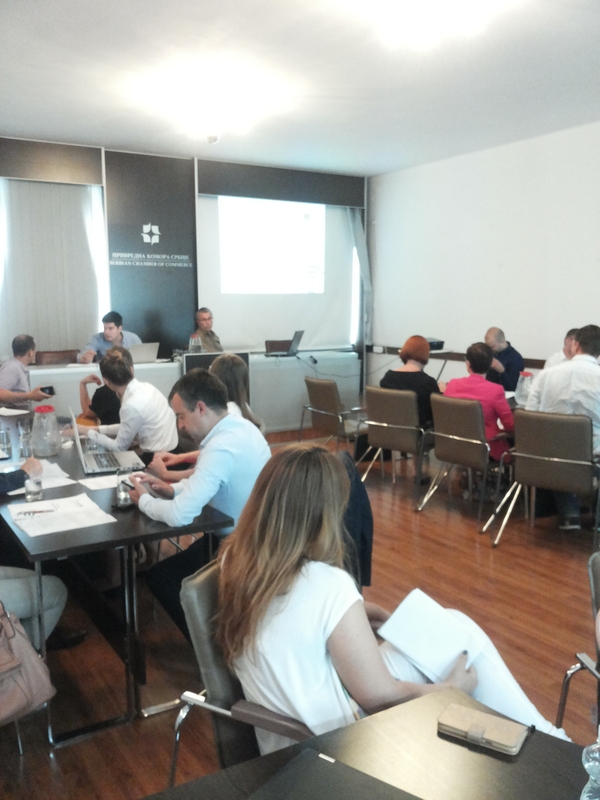 The meeting will be attended by representatives of all partner organizations involved in the project. Each of them will briefly presented the organization and will comment what are their expectations from the project. They will also discuss the planned activities. Registration form and Program for the event can be found here. 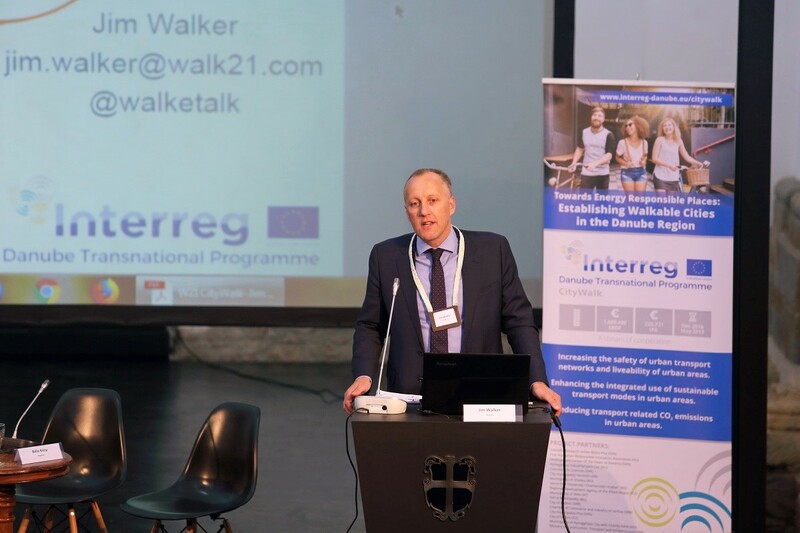 Varna Free University "Chernorizets Hrabar" participates as a partner in the CityWalk project under INTERREG Danube Transnational Programme. The project will help cities in the Danube Region to reduce emissions, noise and to become safer, better places to live, by increasing the role of more sustainable forms of mobility in the urban transport mix, especially active transport forms – like walking and biking. 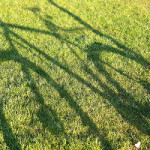 To do so the main focus of project is to improve the key conditions of walkability. Increasing greenhouse gas emissions and congestions are negative side effects of urbanization, resulting from inefficient and unsustainable local transport systems. 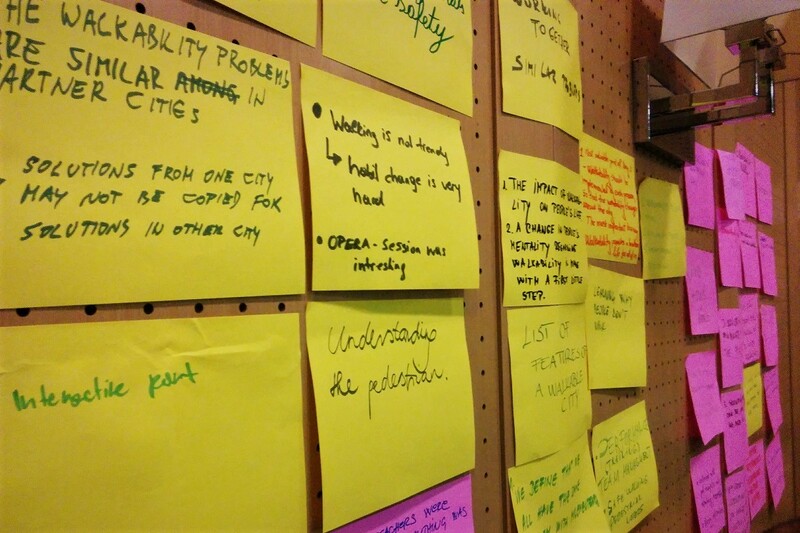 A key challenge in cities is to improve transport systems and accessibility in an environmentally-friendly manner. CityWalk project will result in improved urban mobility - while reducing emissions, noise levels and congestions, increasing safety and making cities more liveable places (and also contributing to a healthier population). Although the emphasis is on walking, the proposed project addresses the challenge with a holistic approach – improving urban mobility through efficiently combining various means of transport. Efficient urban transport systems, with an emphasis on active forms of transport – especially walking have various conditions – we help cities in the Danube Region to identify the obstacles, develop and implement a plan to address those obstacles. To do so, our partnership will develop a toolkit (walkability guide, index and online tool), design 8 walkability plans, deliver 8 pilot actions, develop and present policy proposals.